Andrew and I were having another one of our rational discussions. It had spanned days. I was right, of course. On the other hand, the idea of my youngest son not being home for the holidays was already making me sad. I picked up the phone again. And he did. I don’t know what Neil said but Thanksgiving came as did Andrew and The Cat. There was lots of food, laughter and some sneezing. I told my friend how smart Neil had been to fix my problem. After a few months Andrew brought The Cat to us. Nobu and I now have permanent custody of The Cat. We love him a lot. Evan declared if I could I would take down the family pictures and put cat art on the refrigerator. Next week The Cat is learning how to paint. I love the picture! 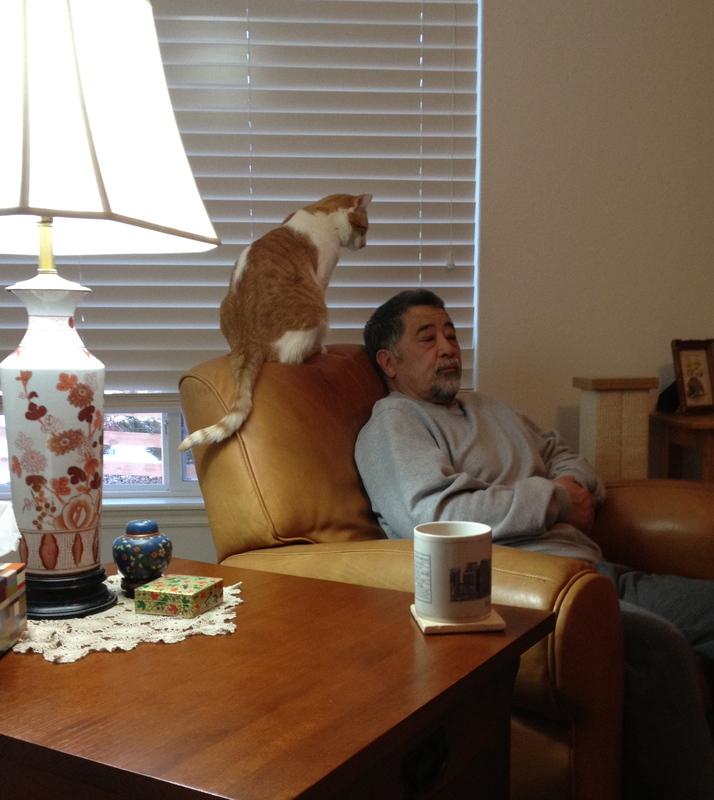 Andrew’s cat looks so cute looking at Nobu. No wonder you kept him.